Salman Khan's colleagues and celebrities dropped by Galaxy Apartments, the actor's Mumbai residence, after he was sentenced to five years jail term in the blackbuck case on Thursday. Salman is currently in jail in Jodhpur. In Mumbai, a steady stream of visitors were photographed at the Khan residence. Sonakshi Sinha, Salman Khan's heroine of the Dabangg series of films, arrived with her parents Shatrughan and Poonam Sinha. Malaika Arora and her estranged husband Arbaaz Khan (Salman's brother) were photographed arriving separately in their cars. Malaika was also accompanied by her sister Amrita Arora. Remember actress Sneha Ullal? She also visited Salman Khan's family on Thursday. Sneha made her debut with Salman Khan's Lucky: No Time for Love. 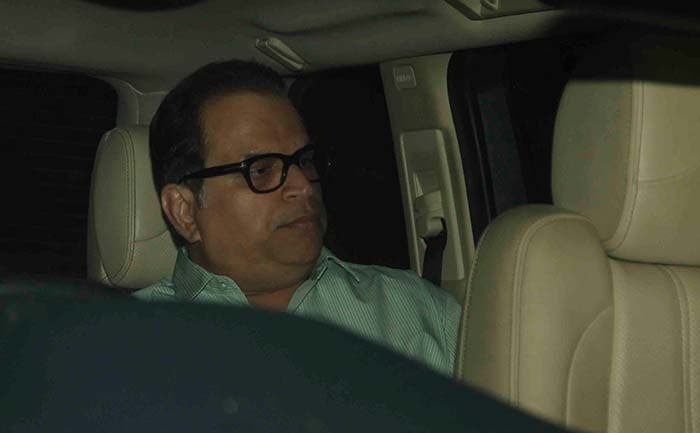 Also spotted arriving was filmmaker Ramesh Taurani, who is producing Salman Khan's upcoming film Race 3. The 52-year-old superstar recently wrapped the Abu Dhabi schedule of Race 3, which also stars Jacqueline Fernandez, Daisy Shah, Anil Kapoor, Saqib Saleem and Bobby Deol. Salman Khan has replaced Saif Ali Khan as the protagonist in the movie, which Remo D'Souza is directing. 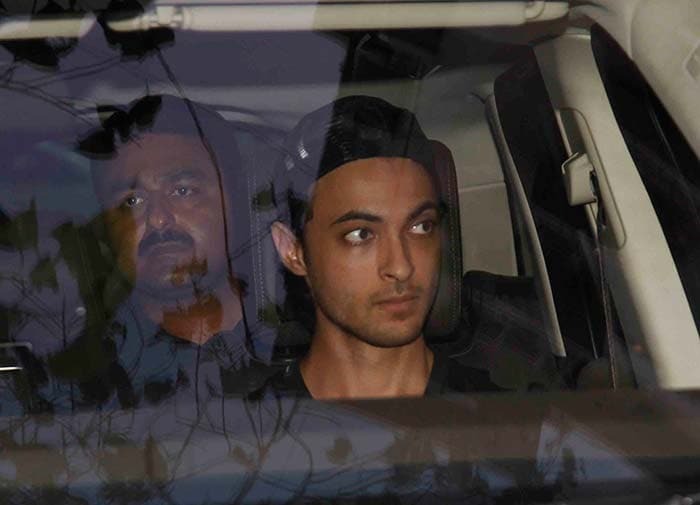 Aayush Sharma, who is married to Salman's sister Arpita, was also there. Actress Preity Zinta, in India for the Indian Premier League or IPL tournament, was pictured at Jodhpur airport on Friday afternoon, presumably to meet Salman Khan. 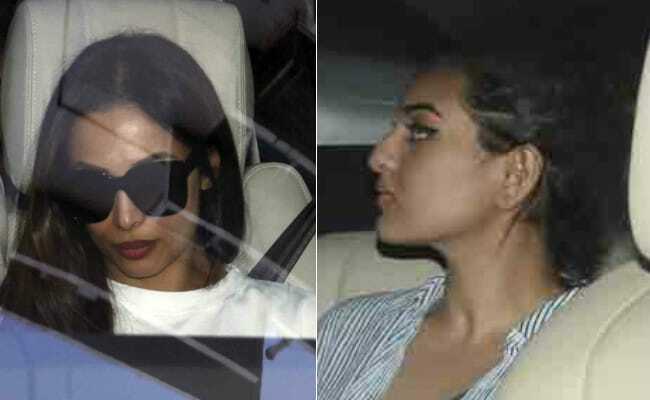 The actor's sisters - Alvira and Arpita - had also accompanied him to Jodhpur on Thursday. After the verdict was announced, Salman Khan's friends and colleagues flooded Twitter with best wishes and blessings. Varun Dhawan, who starred in the sequel to Salman Khan's hit film Judwaa, tweeted: "I know for a fact that Salman bhai and his family have the utmost respect and faith in our judiciary system. Salman Khan is one of the strongest and most genuine people I know. I'm sure he will come out of this stronger," while Arjun Rampal added: "The law takes its course. Can't argue it. But at this point in time I just feel helpless and my heart goes out to Salman Khan and his family. Reason, cause the last thing Salman Khan is, is a criminal. I feel this is too harsh. I do hope he gets the relief he deserves." I know for a fact that Salman bhai and his family have the utmost respect and faith in our judiciary system. @BeingSalmanKhan is one of the strongest and most genuine people I know and I’m sure he will come out of this stronger. On Thursday evening, Salman Khan was taken to the Jodhpur Central Jail directly after the verdict. Salman was found guilty of killing endangered blackbuck while Hum Saath Saath Hain in Rajasthan in 1998. The other Hum Saath Saath Hain actors - Tabu, Sonali Bendre, Saif Ali Khan and Neelam Kothari - were acquitted of inciting Salman to hunt. The court will hear Salman Khan's bail request tomorrow.